Try it and You May! : I need to lose! I want to lose 10 lbs. * by the 2013 Credit Union Cherry Blossom Ten Mile Run. It's less than 50 days away. Losing 10 lbs could mean :20 seconds off my mile pace. I know it's not a guarantee but why not put as many things in my favor as I can? In order to do that, I need to increase my fruit and veggie intake...and reduce the snacking. This kind of healthy eating was easier when we were getting our summer CSA and I felt guilty if I didn't consume the fresh produce. I've definitely slacked off on my healthy eating and watching my calories. 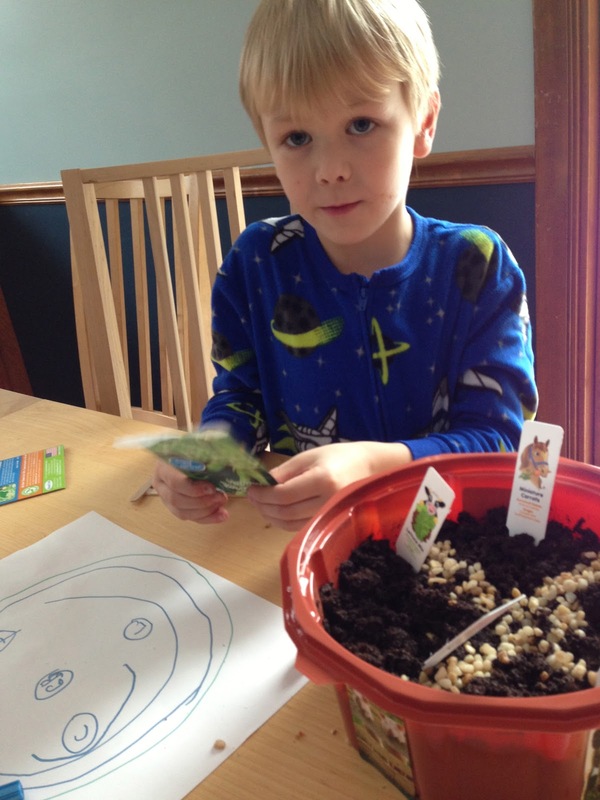 My kids are already looking forward to our garden. Even my picky eater is looking forward to fresh fruit and vegetables. 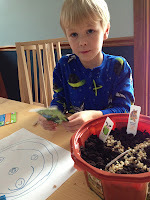 He planned out his starter garden a few weekends ago and promises to try some of the beans and lettuce that are growing. A plan helps. I spent a little time the other night looking for dinner ideas and a friend of mine suggested that I check out the Paprika app for managing recipes and creating shopping lists. I'm eager to start our outdoor garden and re-start our CSA. I just ordered Starter Vegetable Gardens: 24 No-Fail Plans for Small Organic Gardens to help me do a better job managing the garden this year. But the garden is still far off. It's time to get focused on eating right so I can be where I want to be by April 7. *I'm already down 1 lb since the time I wrote this post. * As of 2/27 I'm down 2 lbs! *As of 3/3 I'm down 3.5 lbs! * As of 3/29 5 lbs!